Shuya University began its history in September 1816, when the spiritual school was opened in Shuya. In 1996, the Shuya State Pedagogical Institute received the status of a Pedagogical University. This is a unique phenomenon in Russia: the provincial regional city became the owner of the university. This was an objective public recognition of the merits, role and importance of the university in the noble cause of training highly skilled workers for the entire non-productive sphere, but especially, of course, for the education system. From January 11, 2013 Shuya State Pedagogical University is a separate structural unit (branch) of the federal budget of a budgetary educational institution of higher professional education "Ivanovo State University". Shuya Branch of IvSU is in a small quiet city that guarantees the safety of students. In addition, Shuya is a very picturesque, ancient Russian town with a rich history. Close to Shuya there are big cities (300 km to Moscow, the bus runs regularly to Nizhny Novgorod, there is a train and bus to Kostroma, Yaroslavl - 100 km, there is a train and a bus to St. Petersburg - 700 km, there is a direct train. Nearby there are the "pearls of Russia" such as Suzdal, Palekh, Plyos, Kholui and others). At the university you can always eat and replenish your vitality. A hearty breakfast and a delicious lunch await you in the dining room and buffets. On the territory of the campus there are two comfortable hostels for out-of-town students. There are laundry rooms, drying rooms and a luggage room in the student hostels. Each room is provided by the Internet (wireless Wi-Fi network). The rooms for self-study of students and superior rooms are equipped. Great attention is paid to the safety of students, teachers and employees, which is provided around the clock by external and internal security. On the territory of the campus and in the dormitories there is an access system, fire alarm is installed. International scientific-practical conference "Shuya session of students, graduate students, young scientists"
Foreign citizens and stateless persons have the right to receive higher education at the expense of budgetary appropriations in accordance with international treaties of the Russian Federation, federal laws or the quota for the formation of foreign citizens and stateless persons established by the Government of the Russian Federation (hereinafter referred to as the quota for the formation of foreign citizens ), as well as due to the funds of individuals and legal entities in accordance with the contracts for the provision of paid educational services. Admission for training within the quota for the education of foreign citizens is carried out in accordance with the directions of the federal executive body, which exercises the functions of elaborating state policy and normative and legal regulation in the field of education. Admission to education within the quota for the education of foreign citizens is carried out by a separate order (orders) of the IvSU. Foreign citizens and stateless persons who are compatriots living abroad have the right to receive higher education on an equal footing with citizens of the Russian Federation, if they comply with the requirements provided for in Article 17 of the Federal Law of May 24, 1999, No. 99-FZ "On Public Policy The Russian Federation with respect to compatriots abroad "(hereinafter - the Federal Law No. 99-FZ). 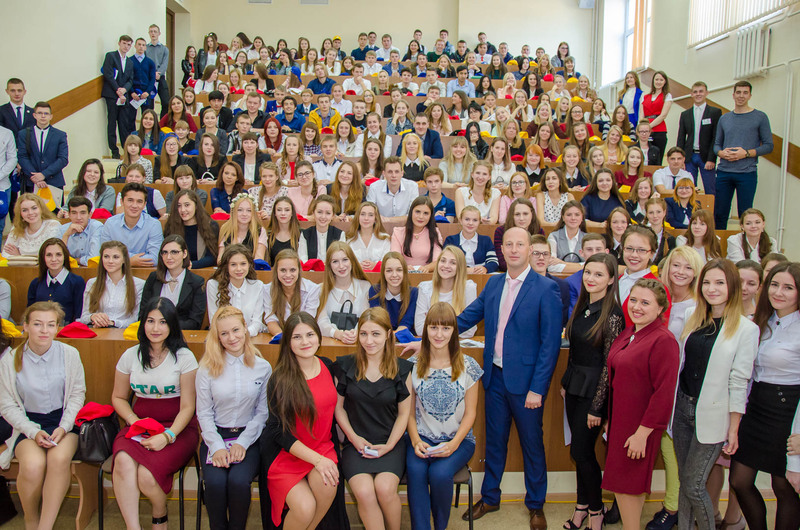 Compatriots living abroad who are not citizens of the Russian Federation are not subject to special rights in admission to study under the bachelor degree course and specialist programs provided in accordance with Federal Law No. 273-FZ, unless otherwise stipulated by the international treaty of the Russian Federation. When foreign citizens and stateless persons are admitted to study under bachelor's programs and specialty programs for places under contracts for the provision of paid educational services, IvSU establishes 2 general introductory tests from the number of admission tests established by Order No. 1204 for the corresponding specialty or direction of preparation, as well as independently allocates the number of places for foreign citizens and stateless persons and holds a separate competition for these places. When submitting documents for admission to study, a foreign citizen or a stateless person indicates in the application for admission to education the details of an identity document or a document certifying the identity of a foreign citizen in the Russian Federation or the identity of a stateless person in the Russian Federation in accordance with Article 10 of the Federal Law of July 25, 2002 No. 115-FZ "On the Legal Status of Foreign Citizens in the Russian Federation" (hereinafter - document certifying the identity of a foreign citizen), and represents the original or a copy of the document proving the identity, citizenship, or the document proving the identity of the foreign citizen. The compatriot indicates in the application for admission to education information on admission to study in accordance with Article 17 of the Federal Law No. 99-FZ. Upon admission to study in accordance with Article 17 of the Federal Law No. 99-FZ, a compatriot presents, in addition to the documents specified in clause 2.11 of the Rules for admission to IvSU, the originals or copies of documents provided for by Article 17 of Federal Law No. 99-FZ.